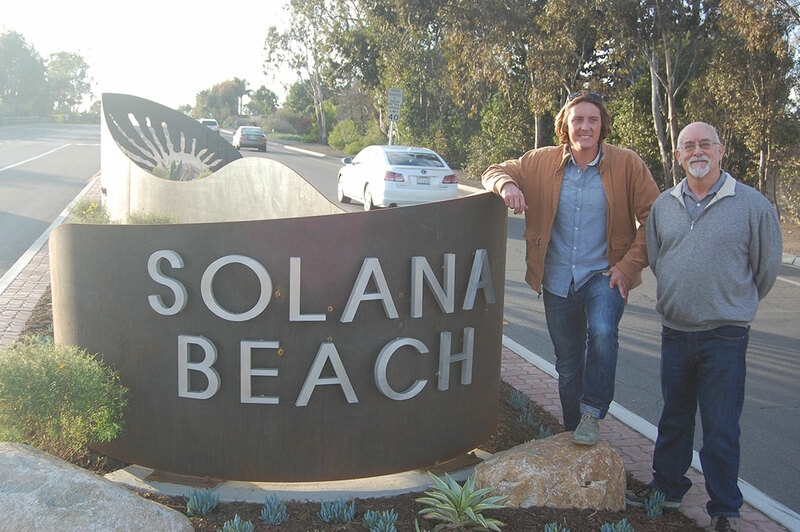 SOLANA BEACH — A joint ceremony between San Diego County and Solana Beach was held onsite Jan. 27 to celebrate the new San Dieguito Park entry location and parking improvements as well as the city’s new entry sign in the median at the intersection of Lomas Santa Fe and Highland drives. 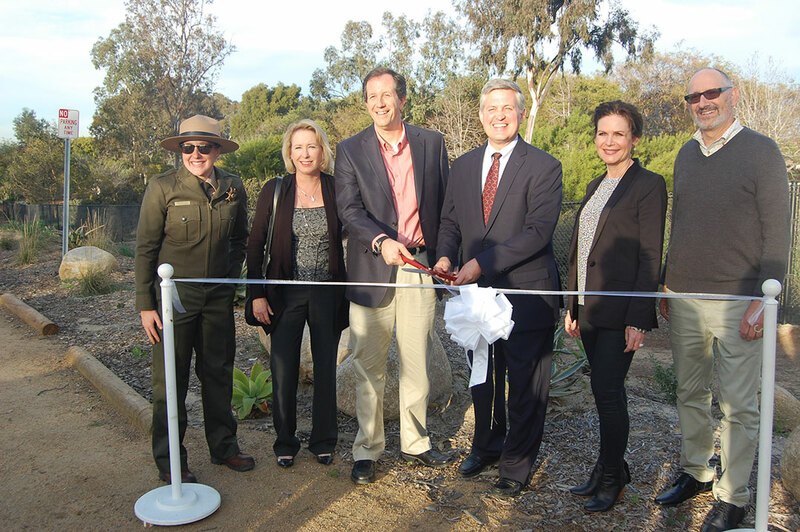 The City Council, staff members and County Supervisor Dave Roberts, in whose jurisdiction the project is located, were on hand for the ribbon cutting. “These types of projects, I think, are what make Solana Beach so great – just nice community improvement projects, stuff that’s near and dear to my heart with respect to pedestrian and active transportation improvements,” Mayor Dave Zito said, referring to the narrowed lanes, safer parking areas and a new median, pedestrian entry gate and landscaping. “This has been a really nice addition,” he said about the entry sign. “The process was a little lengthy and it went through a couple of iterations. “There was some consternation about what it looked like after it was constructed so we went through another process to quickly make some modifications, and I think we ended up with a really excellent entry monument,” Zito added. “When I became supervisor I put this on the list of things I wanted to do,” he said. “I told them I wanted it to look nice and … match what is going on at this intersection because this is just a phenomenal city. City Manager Greg Wade said after the installation there were concerns voiced by residents and council members that it didn’t look like the rendering. 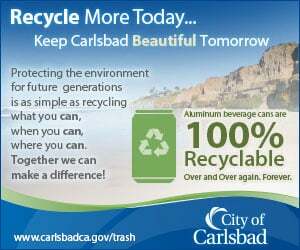 “There was some spirited community input,” Councilman Peter Zahn said. Using contingency funds the sign was lowered and the lettering was reorganized, bringing the total project cost to about $48,000. Money came from a Neighborhood Reinvestment Grant from Roberts’ office and the city’s public arts reserve account. “The outcome is that all the input has been really positive,” Wade said.